The National Football League (NFL) received an overall grade of ‘B’ on the 2018 Racial and Gender Report Card (RGRC) from The Institute for Diversity and Ethics in Sport (TIDES). But gender hiring across the league received average to low grades. In March, the league office will hire a chief diversity and inclusion officer, a new position charged with strategically leading diversity and inclusion initiatives across the NFL. 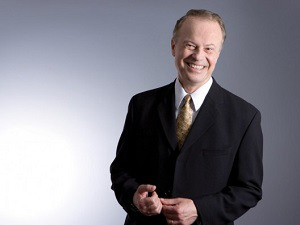 “The creation of the new position should add impact in the areas of diversity and inclusion by providing additional focus,” said Dr. Richard Lapchick, director of TIDES at the University of Central Florida and author of the RGRC. TIDES conducted an analysis of the racial and gender breakdown of general managers, coaches, team upper management, senior administration and professional administration. Among the most notable points in the report card is the disparity between racial hiring and gender hiring. Racial hiring received an ‘A-‘ while gender hiring received a ‘C’. While there has been an increase in gender hiring at the league office, gender hiring for team vice presidents or higher decreased from the 2017 report card as did hiring at the professional administration level. The report card noted that the 2018 season began with eight head coaches of color. The Rooney Rule, established in 2003 to promote diversity in the hiring of head coaches and senior operations personnel, was strengthened in the 2018 season. Teams are now required to go outside of their own organizations to interview candidates of color, or to interview a candidate who is on the league’s career development advisory panel list. Gender hiring is not impacted by this rule. At the start of the 2018 season, four people of color held general manager positions, which is a decrease from six in 2017 and five in 2016. The racial hiring grade for team general managers was a ‘D+’. The racial hiring grade for team vice presidents was ‘D’ and the gender hiring grade was an ‘F’. As for teams’ hiring of CEOs/presidents, the grade for both race and gender was an ‘F’. The NFL received an ‘A+’ for player diversity as 72.6 of the league’s players are men of color. Diverse asked Lapchick how those players are treated when it comes to issues related to engaging in protests over social justice issues. Also, in the RGRC is the information that the only teams in the NFL that have owners of color are the Jacksonville Jaguars and Buffalo Bills. The percentage of assistant coaches of color increased from 2017 to 2018. The NFL had 37 game officials of color and one female official in 2018. According to Lapchick, NFL diversity initiatives have increased. A few of the current programs are the NFL Diversity Council, Women’s Interactive Network, Black Engagement Network, NFL Pride, Human Resources Annual Meeting, NFL Special Teams, NFL Leadership Training and Bill Walsh Diversity Fellowship Program. While these report cards, which TIDES also issues for the NBA, WNBA, Major League Baseball and Major League Soccer as well as in collegiate athletics departments, are extensive in their analysis, Lapchick says that he hopes they will serve as inspiration for others to continue the examination, analysis and research.